The BT-200 is a wideband bias-tee RX Low Noise Amplifier that draws its current from the bladeRF 2.0 micro’s SMA connectors. 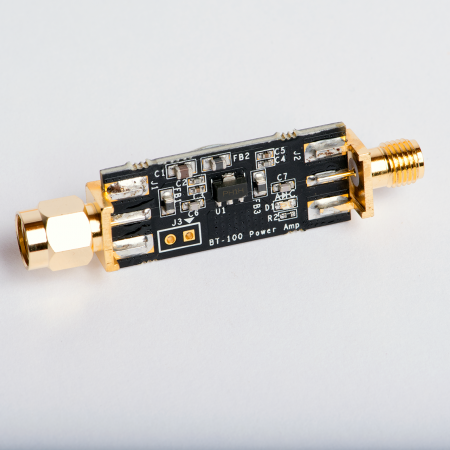 The BT-200 is a compact LNA solution useful for substantially lowering the noise figure and substantially increasing dynamic range of most applications. bladeRF-cli and the libbladeRF API can be used to enable and disable the bias-tee when it is needed. 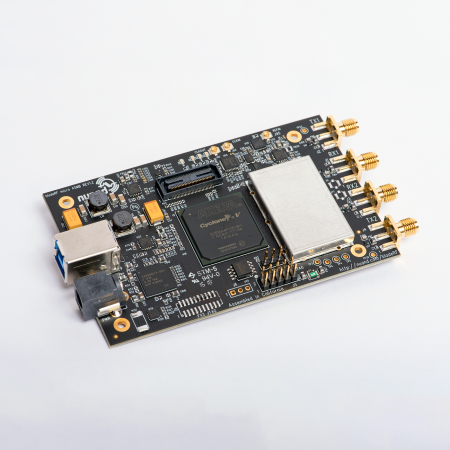 Care should be taken to avoid overdrawing current when powering the bladeRF 2.0 micro from USB bus power and enabling multiple bias-tee amplifiers simultaneously. In case the power budget (print hardware in bladeRF-cli) is a concern, the bladeRF 2.0 micro can be powered by an external DC power supply. 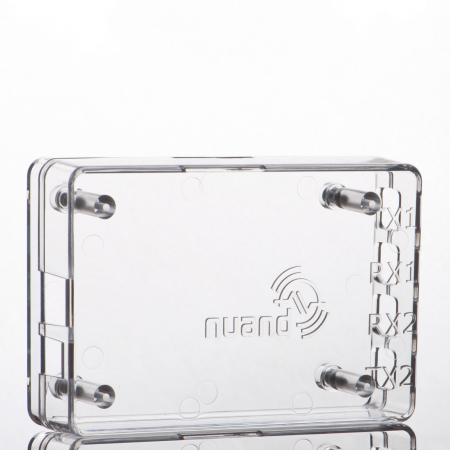 NOTE: The BT-200 can only be plugged into the RX ports. 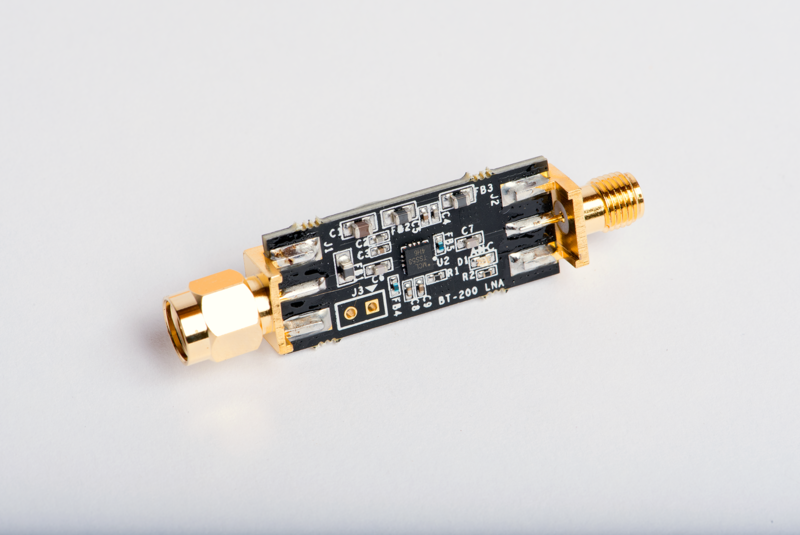 How can I tell if the LNA is enabled? A green light will appear on the BT-200 if the program or tool you are using enables the bias-tee. In addition to the command line commands listed above, add “biastee=rx” to gr-osmosdr source blocks to enable BT-200 from within GNU Radio.